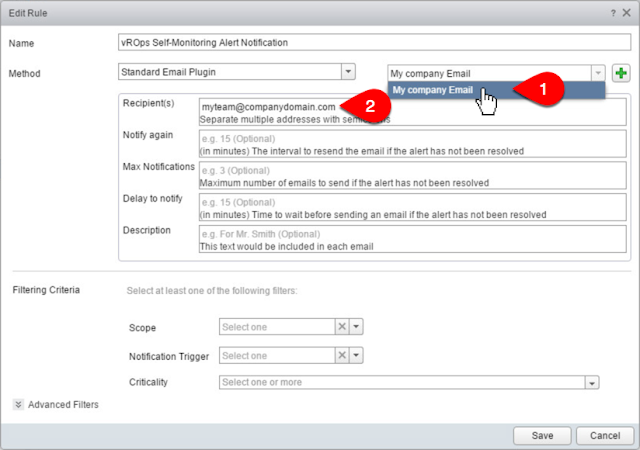 First of all, vROps also has a Rest API notification method, but for simplicity, flexibility, and the lowest common denominator sake, we will only cover the SMTP option here since not all organizations are ready to consume alerts programmatically. 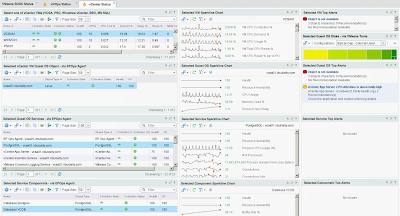 However, they all should at least set up vROps self-monitoring alert notifications to stay on top of the health of their vROps implementation. 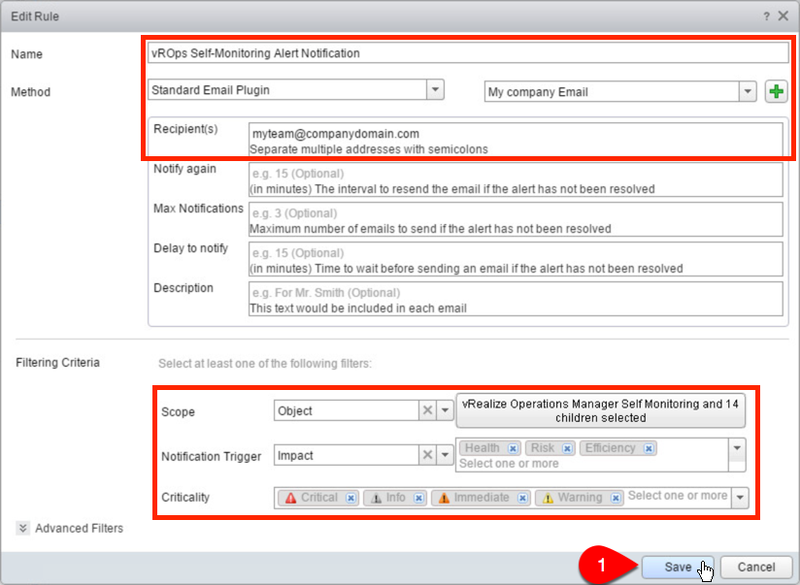 First go to Administration (1) and click on Outbound Settings (2), then click Add (3) to create a new outbound alerts instance. 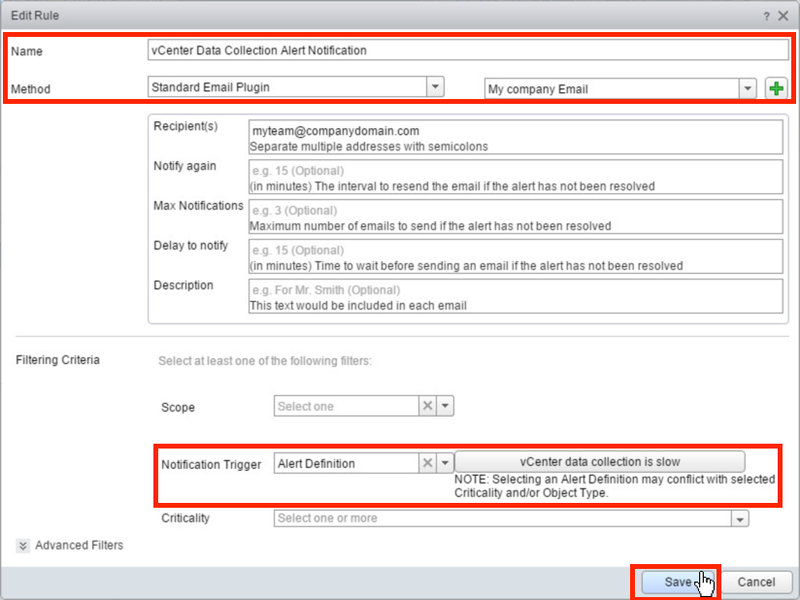 On the Add/Edit Outbound Alert Instance click the Plugin Type drop-down (1) and select Standard Email Plugin (2). This will expose further settings in the Add/Edit Outbound Alert Instance window. Next, go to Content (1) and click on Notifications (2) and click Add, (2) which will start the Add Rule wizard. On the Add Rule wizard window enter the rule Name (1); make it something descriptive like vROps Self-Monitoring Alert Notification, and select Standard Email Plugin (2) from the Method (Select Plug-in Type) drop-down. Selecting the email plugin adds email configuration options to the window. From the Select Instance (1) dropdown select the Outbound Alert Instance you created at the beginning of this guide, in my case it was "My company Email". Enter your or your team's email address in the Recipient(s) (2) field. You can also configure the other options to your desire, and since they are pretty self-explanatory, I'm not going to cover them here. Moving on to the Filtering Criteria (this is important so pay attention), this where the most mistakes are made and no alert notifications get delivered. The first option we have to define is Scope. From the Scope dropdown select Object. This will add a Select an Object... button to the right of the dropdown. Click the Select an Object... button to reveal the Object window. In the Select Object start typing vRealize Oper... (1) and from the dropdown list select vRealize Operations Manager Self Monitoring (2). Once the Select Object field is populated, click Include Descendants (1) checkbox, then click the Select All button (2). 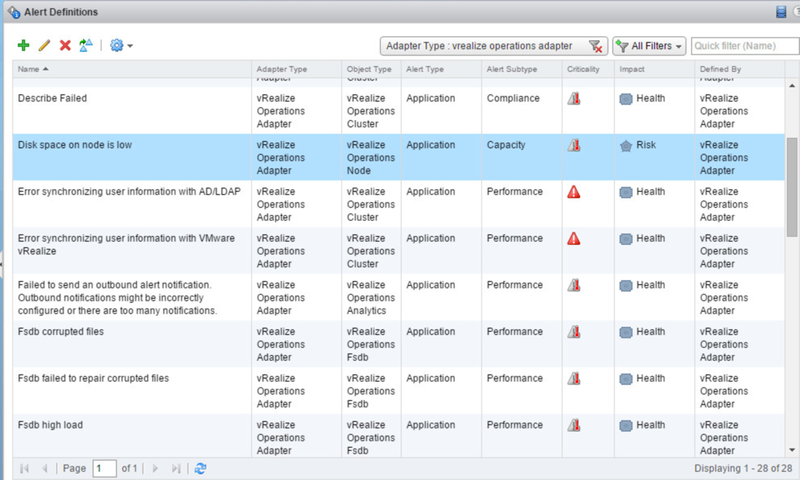 This will populate the Descendants field with all relevant vROps objects. Click Select (3) to save. 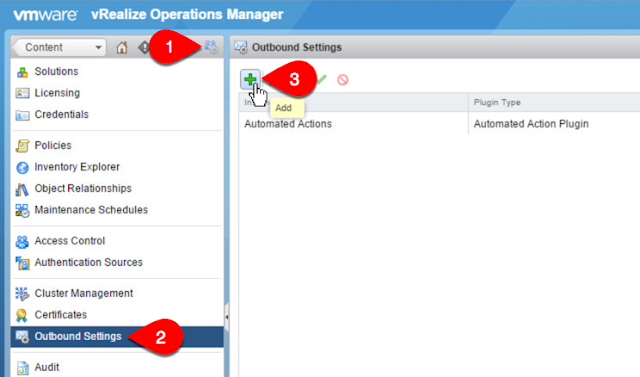 The Select Object button will now show vRealize Operations Manager Self Monitoring and ## children selected. 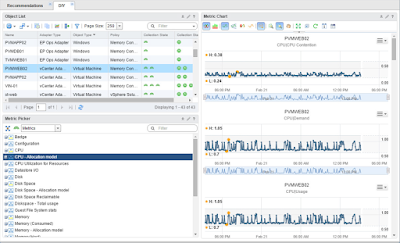 (Note that the ## will reflect the actual number of vROps objects in your environment which depends on the number of vROps Nodes and Remote Collectors you have deployed.) Click the Notification Trigger dropdown (1) and select Impact (2). Confirm all your selections and click Save. You should now have a working alert notification for all vROps Self-Monitoring alerts. That's great, but we're not finished yet. There is one more Alert Notification we need to create. But, before we get to create another alert notification rule, let me point out a common mistake made when creating this self-monitoring alert notification. If you instead select Object Type and then choose vRealize Operations Manager Self Monitoring under Container in the dropdown, you will not be getting any vROps self-monitoring alerts. It does not work as you expect. 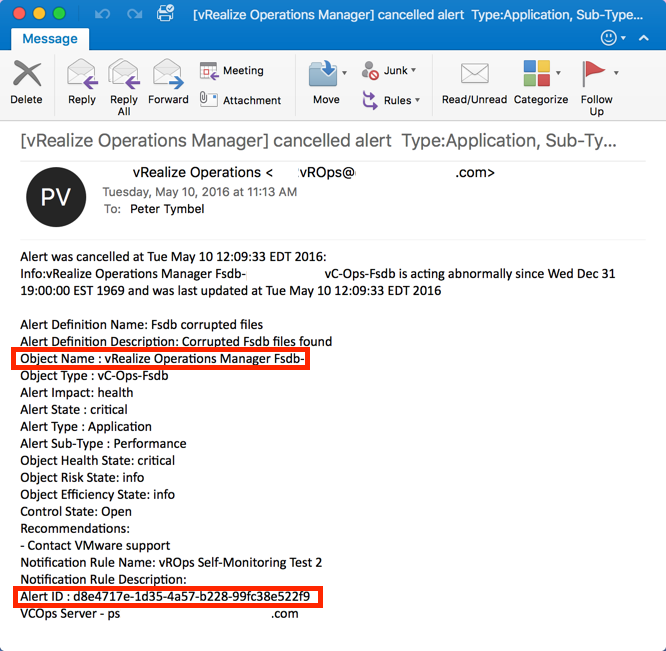 The reason is that when you select the Realize Operations Manager Self Monitoring under Container Object Type, it only applies to alerts at the container level and not at the various vROps Objects that we want to be notified about. OK, so finally there is one more Alert Notification rule you need to create. It has to do with the data collection from vCenter(s). Since this post is already getting long, this will be the slightly abridged version of screenshots, so pay attention. In the Alert Definitions pop-up window, filter for "collect" and pick vCenter data collection is slow from the list and click Select. Review the new rule setting and click Save. 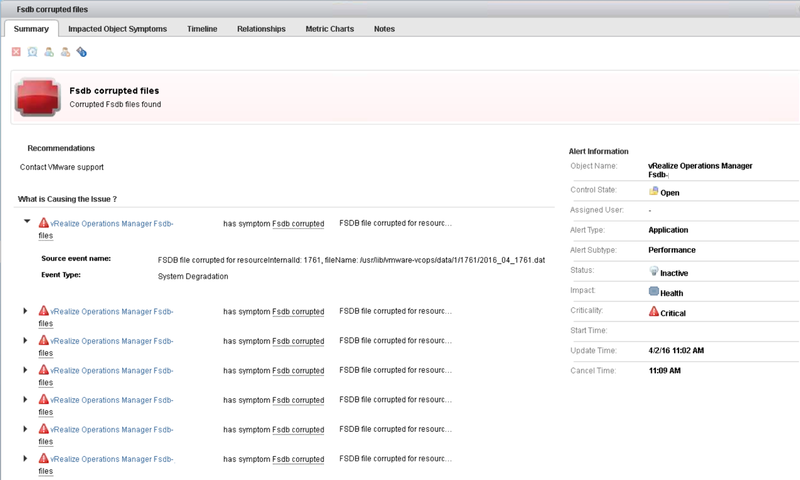 So now you will finally be notified when there is an issue with vROps. Let's look at an example of one of the email alert notifications. One last thing you could do, since these emails are strictly formatted, is forward them to your ITSM solution and have them parsed by a workflow, which could do a CMDB lookup since the object name is included. Once the owner is determined based on the object name in CMDB, a ticket can be created and assigned to the owner's queue. 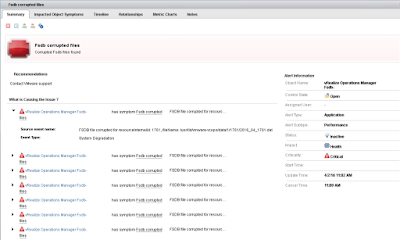 When the ticket gets resolved, a Rest API call can be made back to vROps to cancel the alert based on the Alert ID (UUID) included in the initial notification. In conclusion, Alerts and Notifications are a very powerful feature of vROps, but you need to plan wisely before opening up the valve. You meant "Adapter Type", not "Object Type", right?